Home IT Is Canada a significant green energy investor? 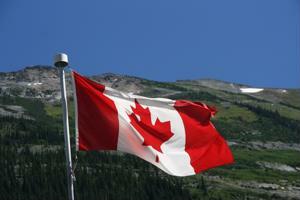 Contradictory reports have been released regarding Canada's commitment to renewable energy technologies. On one hand, researchers are asserting the Canadian government isn't doing enough to support the procurement of wind, solar and other green power resources. In contrast, other analysts said the nation's commitment to renewable electricity is incredibly strong. A study released by Clean Energy Canada maintained the Canadian federal body is "ignoring" green energy in favor of fossil fuels. In a way, this attention makes sense, as natural gas and oil wells in Alberta have contributed immensely to the country's gross domestic product. However, the nation's alleged disregard of green technologies was a key point in Clean Energy Canada's report. "Canada needs to stop ignoring the clean energy sector," said Clean Energy Director Merran Smith, as quoted by Fierce Energy. "This is where the puck is going. This isn't an industry of the future, this is an industry of today." According to the research, the entire country isn't to blame. The organization pointed to Ontario and Quebec as green energy industry leaders. In contrast, Alberta, Saskatchewan and the federal government were singled out as non-progressive. Green power employment has grown 37 percent over the last five years. Electricity generated by wind, solar, run-of-the-river and biomass has nearly doubled in the past five years. Large-scale hydropower consists of 85 percent of Canada's renewable energy production. How easy the Canadian government makes it for organizations to submit request for proposals for solar, wind, geothermal and hydropower initiatives will likely dictate the nation's ability to reach emissions goals that were established under the 2009 Copenhagen agreement. Legislative involvement can have a huge impact on an enterprise's ability to settle purchasing agreements, and it's a factor leaders should take note of. The Chronicle-Herald noted that Canada may double its efforts in light of recent agreements and discussions that are expected to take place in Lima this month regarding emissions goals. This comes after the United States and China, the globe's largest emitters of greenhouse gases, announced a bilateral accord to reduce their emissions output through 2030. If the Canadian government wants to meet global standards, it should focus on loosening regulations that obstruct clean energy investment.